Let us organise your Ireland trip for your Faith Group. 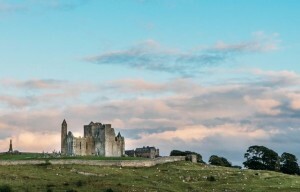 Ireland has a rich religious & spiritual history, with Christian religious sites dating back to the 6th century AD. 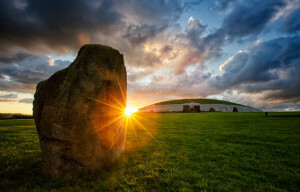 Catch glimpses of our deeper past at the spectacular Newgrange. We have a history of being a sanctuary for those escaping religious persecution in Europe, Cork has especially strong Jewish links and in the 17th Century, Hugenots fleeing persecution in France settled in Ireland. 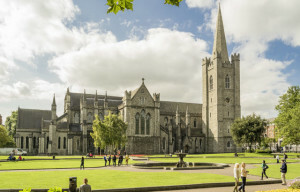 95% of the Republic of Ireland are Roman Catholic and a faith group can see religious sites dating back to the 6th century, such as the monastery of Glendalough are popular destinations for visitors. See the early Christian site at Clonmacnoise, Fore Abbey or churches from the same era at Gallarus in Dingle and the Rock of Cashel. More than one and a half pilgrims from around Ireland and the world visit the site of the Apparition of Our Lady in Knock, County Mayo each year. Or perhaps follow in the footsteps of St Patrick and celebrate mass in one of Ireland’s many churches and cathedrals. We can organise your faith group leader to say mass at any of the iconic churches in Ireland, including Whitefriar Street Church where the relics of St. Valentine are interred. There is also St. Peter’s Church in Drogheda or St. Patrick’s Cathedral in Armagh. If you have a choir or music faith group, we can organise that they play a concert in St. Patrick’s Cathedral in Dublin or in the chapel at Kylemore Abbey, County Galway.